A little bit about me for those who don't know me! 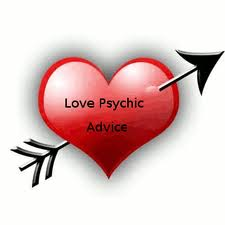 I am very honoured to be a natural Psychic and from a very early age was aware of this special gift of communication. As a young child I was guided by my own Grandmother who helped me understand that what I possessed was indeed unique and that as I grew I would achieve much more in my life by using my spirituality in helping others. This is what I have done all the way through my life and I believe that this has been passed down to me through the female generations within my past relatives. I was born under the sign of Virgo and like my sign I am very connected to the Earth and all it's beauty. Ruled by Mercury, I am very good at communication and I am always being told by my clients, family and friends that they always feel better when they have spoken to me as a result of this. I am a true perfectionist in lots of ways as I like to make sure that everyone around me is settled and satisfied and this does come out in my readings and also within my own family life. I always strive to maintain that like a true Virgo "honesty is the best policy" and always do my very best to guide and help on a professional level. to guide them and help them see a much clearer and happier more positive pathway. which are important to you and to cover any issues you feel need to be covered.